Making homemade aphrodisiac perfumes would be so special and romantic. Traditional perfume was looked at magical love potion. From the very beginning the inspiration of creating a perfume was the relationship, the desire and the passion between man and woman. 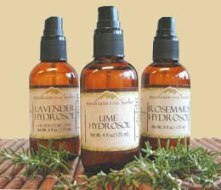 Synergic Blends to make aphrodisiac perfumes. Remember it is important that both of you enjoys the smells you are creating, so when you blends these perfumes have your partner in mind as well as yourself so that you create am essence that you can both enjoy. Blend 1 -- 3 drops bergamot essential oils, 2 drops of sweet orange essential oils and 1 drop sandalwood with jasmine floral water as a base. Blend 2 -- 2 drops clary sage essential oils, 3 drops of lavender essential oils and 1 drop of patchouli essential oils with rose floral water as a base. Lavender is not an aphrodisiac but is added to make the fragrance more mellow. It can be a relaxing and emotionally uplifting scent. 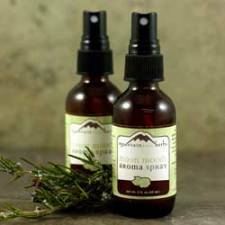 Blend 3 -- 2 drops lemon, 2 drops petitgrain and 3 drops rosemary with neroli floral water as a base. Mix all the oil with the base and store the blends in a 50 ml bottle with an atomizer. When essential oils add to the water. The oils will remain on the top so remember to shake well before use. 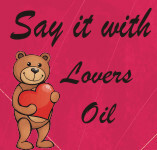 If you want to send it as a gift then you can place a small valentine card or just tag it. Inside you can write a simple valentine poems or cute valentine quotes. Here are the ideas of make your own valentine cards. The Aphrodisiacs perfume is the perfect homemade valentine gifts to suit your own unique personality and taste, not to mention your lover. Check out other cute valentine gifts at amazon.com perfect for your lover. Other pages that you might find helpful.